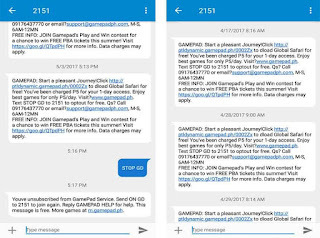 Globe SMS from 2151 or Gamepad – 5 Pesos Charge Per Message? If you’re a Globe subscriber, be sure to check every alert you received from any 4-digit number. 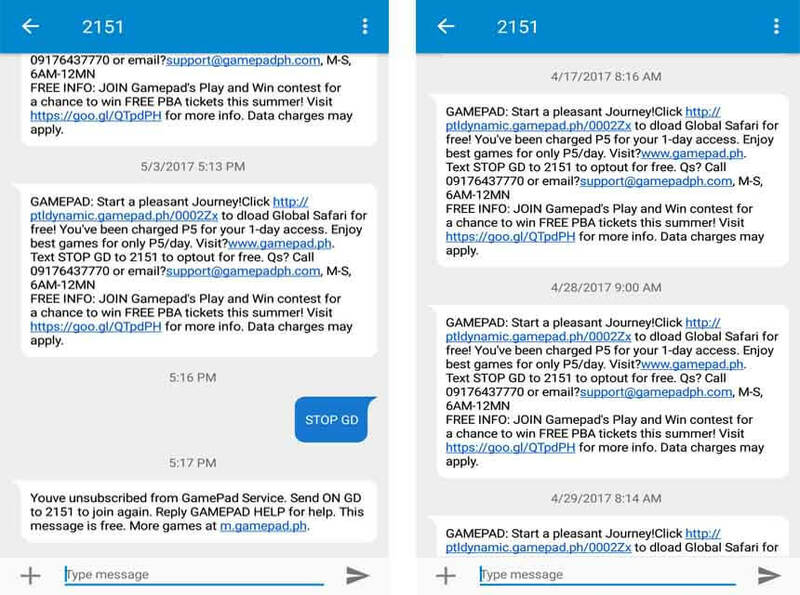 Aside for 8080 and 4438, I also received an SMS from 2151 or Gamepad that notifies me about games with a given link to download a certain app. At first I ignore this message and didn’t read what is it all about, but every time I reload my prepaid number I also received this alert few minutes after. Just this month I manage to read all the details of the Gamepad alert and was surprised to read the line “You’ve been charged P5 for your 1-day access.” How did that happen? I cannot recall any subscription for 2151 or any game related content via SMS and online. After checking my inbox, I have a total of 36 coming from Gamepad or 2151. That’s very unfair and frustrating if you’re trying to register a promo and right after your reload your account with a certain amount and this 2151 eat up your load right after your received the Autoloadmax notification LOL. 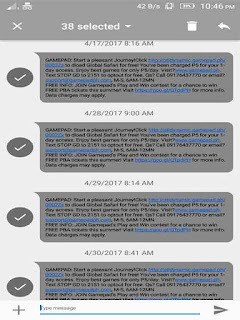 Globe should take actions on this unwanted SMS as they are making their subscribers blind and helpless. This is not the first time problem or issue, remember the 2346 SMS alert which is famous way back 2012? I think this needs to be address and i need company on how to file a complaint and have my 5x2 back asi already spoke with some on 6/26 to cancel this subscription but suddenly today they charge me again. I want to sue these caretaker really bad! tsk. this deserves a protest. Ayan po yung problema ko ngayon kaya po nag search ako sa google.